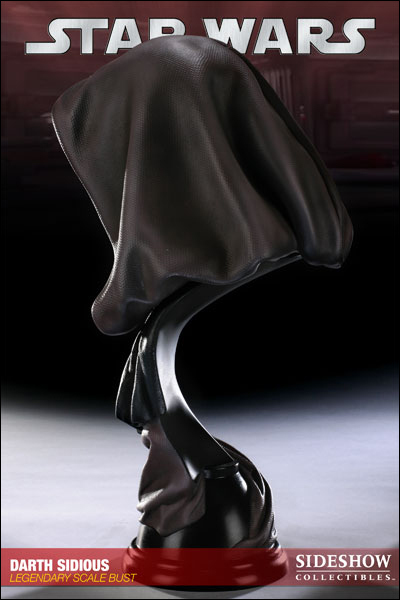 Joining Sideshow's award winning line of Star Wars collectibles is the Obi-Wan Kenobi Legendary Scale Bust. 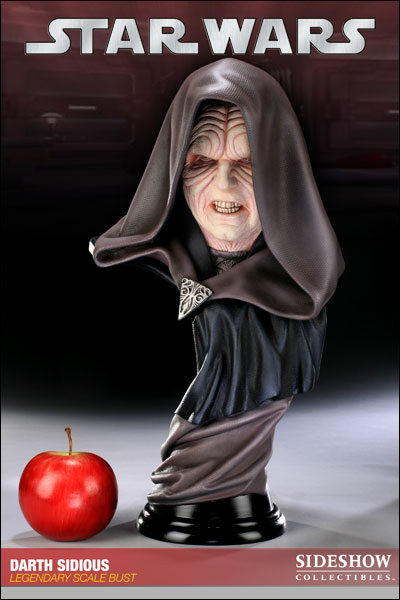 Each piece is individually hand painted and finished, each with its own unique quality and detail that is the trademark of a handcrafted Sideshow Collectibles product. 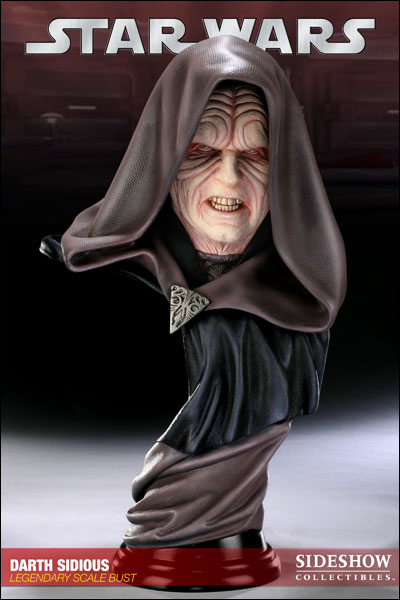 Depicting the classic Jedi Master in outstanding detail, the Obi-Wan Kenobi Legendary Scale Bust is an outstanding addition to any Star Wars collection. 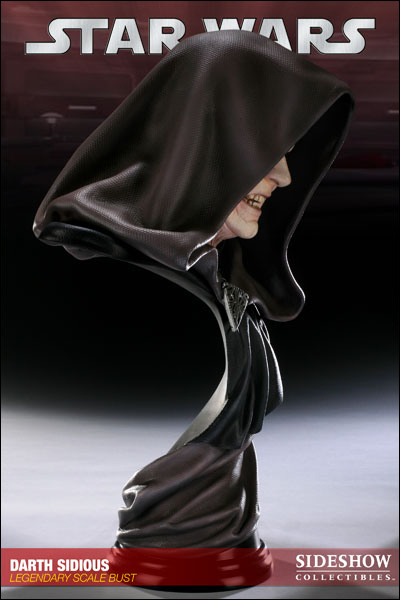 Behind a curtain of secrecy lurked Darth Sidious, the mysterious Sith Lord and puppet-master of the tumultuous events that brought an end to the Republic. 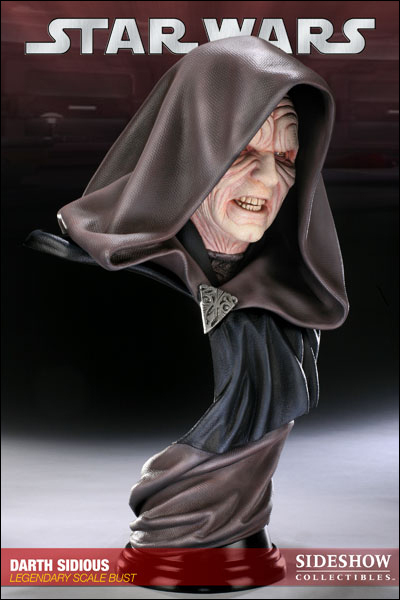 The Sith order had been thought extinct for a millennium, yet somehow, two survived - Sith Master Darth Plagueis and his apprentice, Darth Sidious. 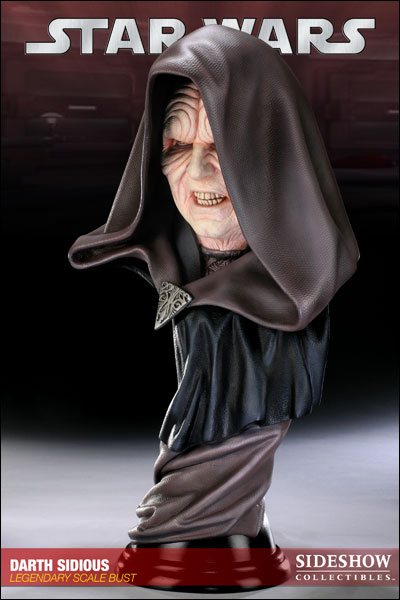 True to Sith tradition, Sidious killed Plagueis upon learning his Master's secrets and took an apprentice of his own. 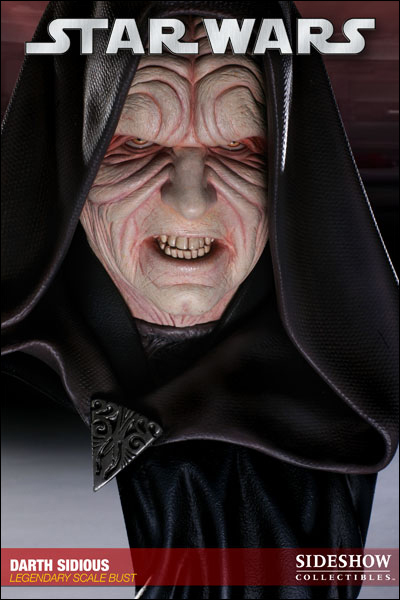 Positioning himself as Supreme Chancellor Palpatine in the Senate, Darth Sidious rose to power over the Galactic Republic while secretly orchestrating the Clone Wars and seeking for himself a witting apprentice. 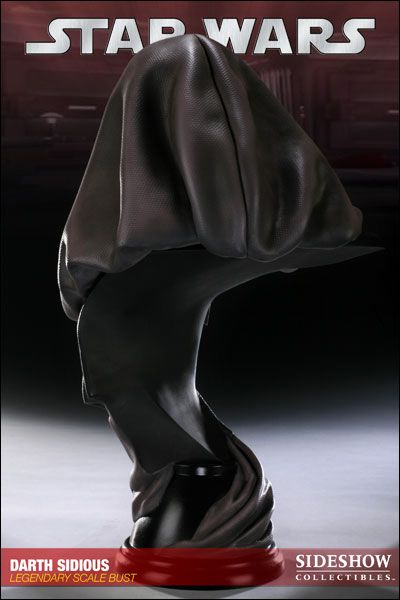 As he worked to overthrow the Republic and take the galaxy for the dark side, his search for a student lead him to the young Anakin Skywalker, a resentful young Jedi Padawan whose own anger and sadness made him a winning candidate to become an apprentice in the war between the Jedi and the Sith.